After high school, most people have vague ideas about credit scores and credit reports. Good credit means shiny credit cards and new clothes, while bad credit means you work at a low-end job and, worse, drive to it with an old car. After college, the concept of credit clears and solidifies, but only slightly. It’s not really until you truly enter the world of adulthood do you possibly learn of your misconceptions. As we get older, our black and white world begins to incorporate not just grays but a myriad of colors and possibilities. But it does take a bit of work to understand. It starts with credit bureaus, who are independent of the government and solely for profit. They collect data on everyone, developing scores from that data, and selling those scores to separate financial institutions. Those institutions, in turn, use those scores to justify a low or high interest rate, and whether or not a person was worthy of their services in the first place. If you have bad credit, the world is a little harder because you pay higher interest rates, and if you have good credit, it’s a little easier. That’s it in a nutshell, but there’s more to it, as you undoubtedly know. 1 What are the credit score categories? 2 How is a credit score configured? 3 Why is your credit score low if you paid all of your accounts on time? 4 What is a derogatory mark on a credit report and how long will it stay? 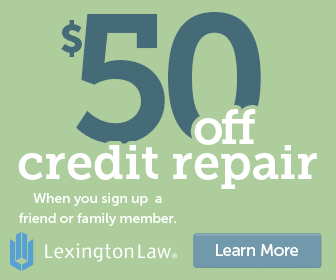 5 How will a bad credit score affect you? 6 How can you improve your credit score? 7 How can you get negative items removed from your credit report? What are the credit score categories? The above stratification is just the present consensus for most places; nothing is etched in stone. The ranges can, and in fact do, vary from company to company. What may be good credit for one institution may just be considered fair for another. So if you’ve been offered an auto loan but it has a high interest rate, do shop around a little more. Another company may think your credit score is just fine. How is a credit score configured? This contributes to your credit score because sometimes people will apply to a slew of credit cards at the same time. If you’re a bank or credit union, people like this would be a risk to you because they either a) are trying to supplement insufficient income with credit cards, or b) are young and just getting acquainted with the world of credit. Both are risky investments. This is a combination of installment loans, like mortgages and auto loans, and revolving credit, like credit cards and retail accounts. A healthy balance contributes to a stronger score. Too much emphasis on revolving credit can also hurt your score. The longer you’ve had a credit history, the better your odds are having a higher score (depending on how well you’ve paid on your accounts). FICO scores will consider how long ago the credit account became active, when the last time you used the account, and the average age of all your accounts. How much debt have you accumulated on your accounts? Are you at your max for each card, or are you at a healthy ratio? Generally speaking, the rule of thumb is to never use more than 30% of your card’s balance. Are you making your payments on time? Have you missed a few, or are you habitually late? This is the category that most people assume is the reason they have a bad credit score, but that may not necessarily be the case. Why is your credit score low if you paid all of your accounts on time? You know that if you miss payments your score gets damaged and that it also doesn’t help if all of your credit cards are maxed out. But if you know those things aren’t the issue, you need to look elsewhere. One thing that people often don’t think about are credit inquiries. A credit inquiry is when a financial institution checks your credit score. This happens when you apply for an auto loan, a mortgage, a new credit card, or a student, business, or personal loan. Having one institution look isn’t a big deal, but when multiple places are looking into you it can significantly lower your score. Why? It suggests that you are in dire straights and really need the money. If you need money so badly it will cause banks or institutions to wonder if you even have the ability to pay them back. To save yourself a future headache, never apply to multiple lenders at once, especially if it’s for different types of financing. You don’t want to seem desperate. Another thing people often don’t think about is the age of their credit accounts. 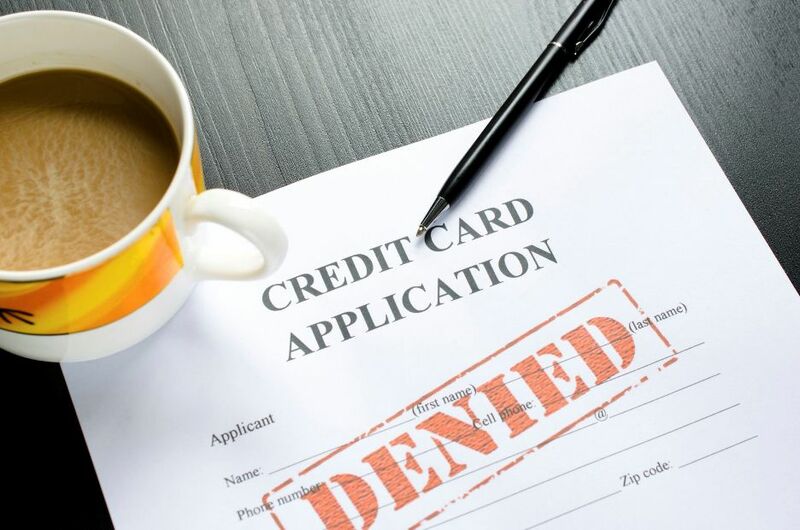 What often happens is people get a new credit card with a better APR and more rewards, and they then cancel or close their older credit cards. This is not a good idea because credit bureaus look at the length of your credit history with certain accounts. If you close an account, then your available credit won’t have as long of a history behind it. So think of your old credit cards as a village’s wise elders. They may not be the fastest, prettiest things in your wallet, but they have the most to say. The only exception is if you pay an annual fee for a particular card. What is a derogatory mark on a credit report and how long will it stay? If you have a bad credit score, it’s quite possible you have one or more derogatory marks. Typically derogatory marks are late payments, delinquencies, and charge-offs. Usually, these stay on your credit report for seven years, but some items can stay for as long as ten. Tax Lien: If you owe taxes, but don’t pay them on time, you may receive a tax lien. Unlike a late payment, a tax lien can stay on your credit report indefinitely. Collections: When a third party steps in on a creditor’s behalf to collect upon a debt, you get a negative mark. Civil Judgment: If you are taken to civil court and lose, you then receive a derogatory mark on your report if you are ordered to pay for any damages. Foreclosure: When you have a mortgage loan but fail to make payments, the lender will then resell the house as collateral. When this happens, it severely hurts your credit score because no one wants to lend money to someone who has a history of defaulting. Bankruptcy: Declaring bankruptcy is when you have taken legal measures to remove yourself from any debt obligations. It should come as no surprise that a bankruptcy hurts a credit score more so than anything else. How will a bad credit score affect you? A bad credit score can affect you in a multitude of ways. Generally speaking, if you can get a loan or credit card with bad credit, then you’re going to pay a higher interest. That means the money you pay each month will contribute less to the overall balance. Without a doubt, the most disturbing on the list above is being rejected for a new job. Some employers see it as a reflection of your character and therefore use it as a deciding factor in whether to hire you or not. Higher insurance premiums are quite troubling, too. For some reason, they seem to believe that a poor score can be linked back to the amount of claims a person will file. Perhaps it’s true, but it’s a heavy price to pay for bad credit. For starters, if you’re behind on any payments, catch up. It’s not good if you’re consistently one or two months behind on a payment. Remember, payment history is the biggest contributor to your score, so this is the first place you want to start. Next, don’t close any free accounts you have. Part of you may think that if you remove the temptation, you’ll be less inclined to use credit. This is true to a degree, but if you close the account, then your remaining accounts won’t have as long of a history behind them. Keep them open, but don’t use them. If you have to, put them in an envelope and keep them in your closet. If you can’t use them while you’re out and about, then you won’t be putting more charges on them. From here on out, you need to be a cash-only person. If you can’t afford to buy something with what you have in the bank, then you can’t afford it. Likewise, since you shouldn’t be making any new purchases, you should also avoid getting any more lines of credit. If you can get your credit limit raised on your credit cards, that would also be beneficial to your credit scores. Remember, credit inquiries hurt your score. If you want to truly get your score out of the red, you need to be fully committed to healing it. Lastly, if at all possible, you want to pay off what debts you can. The best strategy to paying off multiple credit cards is to devote all of your energy to paying off the smallest one first and then working your way to the largest. The reason is more psychological than it is anything else. Once you’ve seen that it can be done, you’re going to want to keep doing it. How can you get negative items removed from your credit report? First off, check your credit reports and make sure that every negative mark is correct (because oftentimes they’re not). Once you do and you know everything is factually accurate or you have a lot of errors, then the best thing to do is to go through a credit repair company. Read about each one to find out how they can work for you. What do these companies do exactly? Well, they have a team of lawyers who understand how the credit systems work through and through. They will negotiate on your behalf, and will most likely be able to get a lot of your negative marks removed for you. Each of the companies mentioned above is very affordable when you factor in the long-term effects and costs of having a poor credit score. If you have don’t have seven to ten years to wait for your score to rise naturally, definitely consider giving them a try.